Multiphoton microscopy has emerged as a powerful modality for noninvasive, spatial, and temporal imaging of biological tissues without the use of labels and/or dyes. It provides complimentary imaging modalities, which include two-photon excited fluorescence (2PEF) and second harmonic generation (SHG). 2PEF from endogenous chromophores such as nicotinamide adenine dinucleotides (NADH), flavins and keratin enable visualization of cellular and subcellular structures. SHG provides visualization of asymmetric macromolecular structures such as collagen. These modalities enable the visualization of biochemical and biological alterations within live tissues in their native state. Organotypic cultures of the skin and oral mucosa equivalents have been increasingly used across basic and translational research. However, assessment of the skin and oral mucosa equivalents is predominantly based on histological techniques which are not suited for real-time imaging and longitudinal studies of the tissues in their native state. 2PEF from endogenous chromophores and SHG from collagen can be effectively used as an imaging tool for noninvasive and label-free acquisition of cellular and matrix structures of live skin and oral mucosa cultures. In this chapter, the methods for noninvasive and label-free imaging of monolayer and organotypic cultures of the skin and oral mucosa using multiphoton microscopy are described. This work was supported by grants (GS) from Singapore Ministry of Education, NUS Start Up Grant (R221000118133) and Grant of Undergraduate Research Opportunity Program (Project 2017-09), Faculty of Dentistry, National University of Singapore. The A*STAR Microscopy Platform (TS & GDW) is supported by funding from A*STAR and Singapore’s National Research Foundation through the Shared Infrastructure Support grant for SingaScope—a nationwide microscopy infrastructure network (NRF2017_SISFP10). 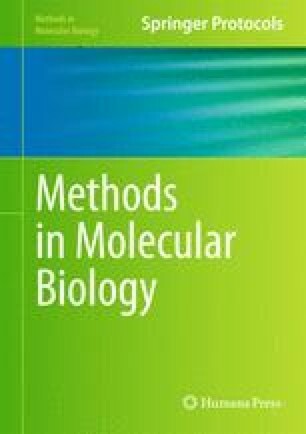 The authors also thank Muniraj Giridharan and Siti Kamariah Ahmad for their help in sample preparation. The authors thank Dr. J. Rheinwald (Harvard Medical School, Boston, MA) for his kind gift of immortalized human N/TERT-1 epidermal keratinocytes and OKF6 oral keratinocytes.